​it ain't flat, just endangered by the foolish and the greedy! "The modern conservative [and, I would say, the human supremacist] is engaged in one of man’s oldest exercises in moral philosophy; that is, the search for a superior moral justification for selfishness." The pace of the loss is staggering — the equivalent of 30 football fields disappearing every minute of every day in 2018, or a total of 120,000 square kilometers (46,000 square miles). Almost a third of that area, some 36,000 km2, was pristine primary rainforest, according to the annual assessment from scientists at Global Forest Watch, based at the University of Maryland. “For the first time, we can distinguish tree cover loss within undisturbed natural rainforests, which contain trees that can be hundreds, even thousands, of years old,” team manager Mikaela Weisse told AFP. Rainforests are the planet’s richest repository of wildlife and a critical sponge for soaking up planet-heating CO2. Despite a slew of counter-measures at both the national and international level, deforestation has continued largely unabated since the beginning of the century. Global forest loss peaked in 2016, fueled in part by El Nino weather conditions and uncontrolled fires in Brazil and Indonesia. The main drivers are the livestock industry and large-scale commodity agriculture — palm oil in Asia and Africa, soy beans and biofuel crops in South America. Small-scale commercial farming — of cocoa, for example — can also lead to the clearing of forests. A quarter of tropical tree cover loss in 2018 occurred in Brazil, with the Democratic Republic of Congo and Indonesia each accounting for about 10 percent. Malaysia and Madagascar also saw high levels of deforestation last year. Nearly a third of primary forest destruction took place in Brazil (13,500 km2), with the Democratic Republic of Congo (4,800 km2), Indonesia (3,400 km2), Colombia (1,800 km2) and Bolivia (1,500 km2) rounding out the top five. Madagascar lost two percent of its entire rainforest in 2018. “The world’s forests are now in the emergency room,” said Frances Seymour, a distinguished senior fellow at the World Resources Institute, an environmental policy think tank based in Washington DC. “The health of the planet is at stake, and band aid responses are not enough,” she added. Globally, forests absorb about 30 percent of manmade greenhouse gas emissions, just over 11 billion tonnes of C02 a year. Oceans are also a major “sink”, soaking up another 23 percent. Burning or clear-cutting vast tracts of tropical forest not only releases carbon into the atmosphere, it reduces the size of the sponge that can absorb CO2. One bright spot in the report was Indonesia, which lost 3,400 km2 of primary forest in 2018 — a 63 percent drop compared to 2016. In 2015, massive forest fires on Sumatra, Borneo and other Indonesian islands levelled 20,000 km2 and generated health-wrecking pollution over a large swathe of Southeast Asia. ​In Brazil, however, trend lines are moving in the wrong direction. “Our data shows a big spike in forest loss in 2016 and 2017 related to manmade fires,” Weisse said of Brazil. Brazil’s President Jair Bolsonaro, who come into office in January, has vowed to curtail environmental regulations and allow commercial farming and mining on indigenous reserves, which comprise more than 10 percent of Brazil’s territory. The researchers emphasised that Bolsonaro has not been in office long enough to assess the impacts of his policies on deforestation. In West Africa, meanwhile, 70 percent of primary forest loss in Ghana and Ivory Coast occurred in protected areas, pointing up the need for stricter enforcement. ​An increasing number of Americans live in places with unhealthy levels of smog or particulate air pollution – both of which are being made worse by climate change, according to a new report. Air quality in the US has been improving since the 1970s, but that progress may be backsliding and 43% of Americans are now living in places where they are breathing unsafe air, according to the American Lung Association report. As temperatures rise, wildfires are getting worse and spewing smoke across the west. And more smog, or ozone, is forming on warmer days. For the three hottest years on record, 2015 through 2017, about 141 million people lived in US counties that saw unhealthy levels of particle pollution, either in a single 24-hour period or over a year, or unhealthy levels of smog. That is 7 million more people than in the group’s last report. “We’re seeing in this year’s report the impacts of climate change on air quality in really stunning terms,” said Paul Billings, a vice-president for the association. ​Eight communities set records for days with spikes in particle pollution, surpassing the group’s data back to 2001, Billings said. Western wildfires might be to blame for much of the uptick, and next year’s report counting 2018 is expected to be even worse, he said. In California, Bakersfield and the Fresno area had among the worst air quality in the country, according to all three measurements. Los Angeles continued to rank worst for smog. Fairbanks, Alaska, ranked third for particle pollution, probably because so many people burn wood to heat their homes. The report is the health advocacy group’s annual assessment of government data. Both smog and particle pollution are linked with breathing problems, lung and heart complications and early deaths. Smog occurs when sunlight reacts with gases from cars and power plants. Particle pollution also comes from burning fossil fuels, as well as from burning wood in fireplaces or stoves, and from wildfires. ​The federal government’s National Climate Assessment explains that smog levels can increase with warmer days and both smog and particle pollution can increase when weather is stagnant. Worse droughts could also lead to more wind-blown dust. Air pollution has fallen for decades in the US, due to pollution laws like the 1970 Clean Air Act and the use of less coal and more natural gas. One 2018 study found that deaths from air pollution in the US were cut in half between 1990 and 2010. But they still accounted for one out of every 35 deaths – more than from traffic accidents and shootings combined. In comparison, more than 5.5 billion people worldwide, 75% of the population, live in places that do not meet the World Health Organization standard for limiting particle pollution, according to the University of Chicago. The Trump administration has sought to roll back Obama-era environmental progress, including on air and climate pollution regulations, such as rules for power plants and cars. Miles Keogh, the executive director for the National Association of State Air Agencies, said weakening air standards would mean “walking away from a winning strategy”. ​Permafrost melt is the main concern. Greenhouse gases – which are released when organic matter that had been frozen below the soil for centuries thaws and rots - have already begun to escape at the current level of 1 degrees Celsius of global heating. So far the impact is small. Ten gigatonnes of carbon have been released from the permafrost but this source of emissions will grow rapidly once temperatures rise beyond 1.5C. On the current trajectory of at least 3C of warming by the end of the century, melting permafrost is expected to discharge up to 280 gigatonnes of carbon dioxide and 3 gigatonnes of methane, which has a climate effect that is 10 to 20 times stronger than CO2. This would increase the global climate-driven impacts by by $70tn between now and 2300. This is 10 times higher than the projected benefits from a melting Arctic, such as easier navigation for ships and access to minerals, says the paper. The new projections contained a modicum of good news because the impact of land permafrost melt was at the lower range of what had been feared. 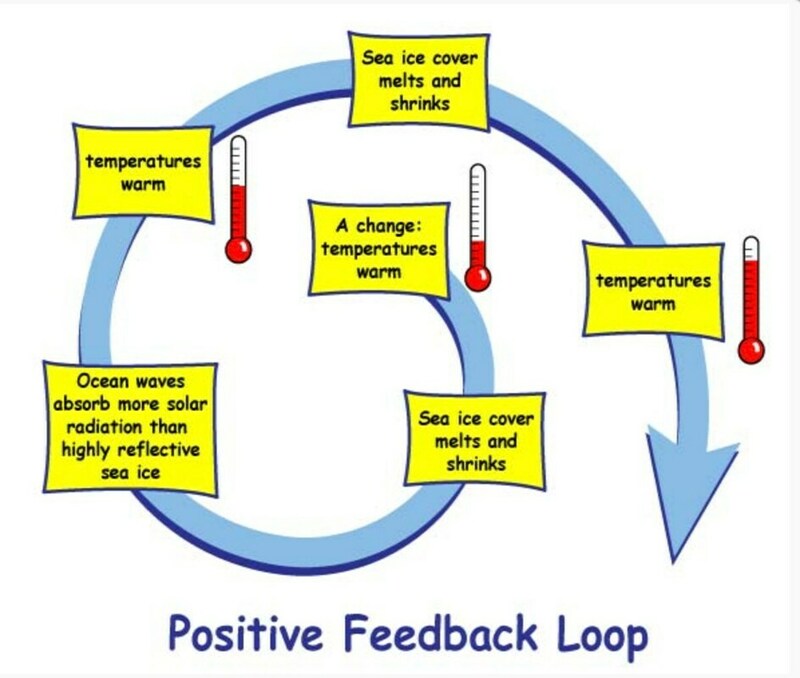 Previous estimates suggested these Arctic tipping points could add more than 10% to climate costs. Some feared the methane alone could prove catastrophic but the new figures show CO2 remains the greatest concern. “We still have a time bomb, but it may not be as large as previously believed,” said Yumashev. But he warned against complacency because even at the low end the damages are huge, the study has a considerable degree of uncertainty and the costs of several other potential tipping points have yet to be calculated. Seized endangered pangolin scales are displayed during a press conference at the Kwai Chung Customhouse Cargo Examination Compound in Hong Kong on February 1, 2019. Singapore customs made the biggest ever seizure of the endangered animal. “The news of this record-shattering seizure is deeply alarming and underscores the fact that pangolins are facing a crisis,” Paul Thomson from the Pangolin Specialist Group said, according to the Times. “If we don’t stop the illegal wildlife trade, pangolins face the risk of going extinct." There have been a number of high profile seizures of the animal recently. In January, authorities in Hong Kong seized 8.3 tons of pangolin scales, from about 13,800 animals, in a shipment bound from Nigeria to Vietnam, The Straits Times reported. ​In February, 33 tons of pangolin meat was seized at processing facilities in Malaysia, the wildlife website Traffic reported. Earlier that month, Hong Kong authorities intercepted a nine-ton shipment of pangolin scales and a thousand elephant tusks. Living on a diet of ants and termites, the animals have the nickname “scaly anteater” and when they are faced with danger, they curl up in a ball, making them easy prey for hunters, according to the magazine Science. ​"If we don't get a global understanding and support for this species, it will be off the face of this Earth before people even know what it is," said Lisa Hywood, founder of the Tikki Hywood Foundation in Harare, which helps protect the species, Science reported. H​uman activity has helped cause carbon levels to rise to a rate that hasn’t been seen on planet Earth in three million years, researchers have revealed. A study published Wednesday by the Potsdam Institute for Climate Impact Research in Germany showed that the last time carbon dioxide was detected in the planet’s atmosphere at the level it is now was during the Pliocene epoch, which took place 2.6 to 5.3 million years ago. Authors of the report, which was published in Science Advances, warned that while global temperatures have not yet risen more than 2º Celsius (3.6º Fahrenheit) above industrial levels in the past three million years, they likely will if “climate inaction” on the part of world governments continues. ​Carbon levels are currently at 410 parts per million and rising. As students in Ireland, Sweden, Uganda, and other countries gathered for another climate strike, the climate action group Defend Our Future tweeted that the Institute’s study shows “there’s no time to waste” for global leaders to take meaningful climate action. stupidity and greed dooms the earth!!! ​The restoration of natural forests and coasts can simultaneously tackle climate change and the annihilation of wildlife but is being worryingly overlooked, an international group of campaigners have said. ​Rowan Williams, the former archbishop of Canterbury, Mohamed Nasheed, the former president of the Maldives, and the musician Brian Eno are also among the signatories of the letter, which was instigated by the Guardian writer George Monbiot. ​Scientists are planning to extract ice samples from more than 1.5m years ago in a bid to discover more about our ancient climate – and hopefully learn more about our future climate. ​“Ice sheets are formed from snowfall buildup over many years – every single snowfall event is trapped as a single, undisturbed layer in the sheet. These layers of snow get progressively thinner as snow is compressed to ice by the addition of more layers of snow,” said Dr Poul Christoffersen, a glaciologist at the Scott Polar Research Institute at the University of Cambridge. ​Christoffersen says that by using these ice cores, we can go back to times in the past where the Earth had naturally high levels of greenhouse gases. S​cientists set off a series of small explosions beneath the biggest glacier in East Antarctica in order to peer beneath the ice and find out what lay beneath. ​The D’ Bone Collector Museum biologists who conducted the autopsy said it was “the most plastic we have ever seen in a whale”. ​Rapid and “devastating” Arctic warming is now almost unstoppable, United Nations researchers warn in a major new report. Unless humanity makes very rapid and deep pollution cuts, Arctic winter temperatures will rise 5.4 to 9.0°F (3-5°C) by 2050 — and will reach an astounding 9 to 16°F (5-8.8°C) by 2080 — according to a report by the U.N. Environment Program released Wednesday. ​“Arctic amplification is most pronounced in winter and strongest in areas with large losses of sea ice during the summer,” researchers explain, so winter warming in the region is projected to rise three times faster than the world as a whole. For instance, the Arctic’s rapid warming is weakening the jet-stream, which leads weather patterns to stall, and that drives more extreme weather in this country, such as heavy precipitation on the East Coast and extreme drought on the West Coast. ​And the quicker the Arctic heats up, the quicker the land-based Greenland ice sheet melts and the quicker sea levels rise. One 2017 study concluded that Greenland ice mass loss has tripled in just two decades. ​Yet, President Donald Trump is taking the country in the dangerously wrong direction by starting the process of withdrawing from the Paris agreement and rolling back domestic climate efforts. ​Microplastic pollution spans the world, according to new studies showing contamination in the UK’s lake and rivers, in groundwater in the US and along the Yangtze river in China and the coast of Spain. ​“It was startling. I wasn’t expecting to find as much as we did,” said Christian Dunn at Bangor University, Wales, who led the work. “It is quite depressing they were there in some of our country’s most iconic locations. I’m sure Wordsworth would not be happy to discover his beloved Ullswater in the Lake District was polluted with plastic. ​“Microplastic has been found in our rivers, our highest mountains and our deepest oceans,” said Julian Kirby, a plastics campaigner at Friends of the Earth who helped collect water samples for the new UK study. He urged MPs to back legislation “to drastically reduce the flow of plastic pollution that’s blighting our environment”. ​We’re all becoming more aware about the damage single-use plastics and fast fashion has on the environment. Yet there is one product we all throw away every single day that, so far, has not been a major part of conversations about sustainability: toilet paper. The report found that major brands’ refusal to switch to sustainable materials in toilet paper is having a devastating impact on forests and climate. About 28m acres of Canadian boreal forest is cut down each year, an area the size of Pennsylvania. Virgin pulp, the key ingredient in toilet paper, accounted for 23% of Canada’s forest product exports. ​Americans are particularly to blame for this crisis. They make up just over 4% of the world’s population, yet account for more than 20% of global tissue consumption. The average four-person household in the US uses over 100lbs of toilet paper a year. Major toilet paper brands have refused to use more sustainable materials, the report says, because Americans tend to more concerned than the rest of the world about ideal toilet paper texture in their homes, largely due to decades of marketing around toilet paper softness. Previous reports into the environmental impact of toilet paper have found American desire for super-soft multi-ply toilet paper to be “worse than Hummers” for the environment. Are there any options out there to prevent this destruction? Well, in ancient Rome they used a sponge on a stick, which they would then leave in a pot of vinegar to be used again. The Talmud, the central text of Jewish law, proscribes a handful of gravel, with stones to be “the size of an olive, a nut and an egg” for greatest effectiveness. Fortunately, we are unlikely to have to resort to such measures. Not all toilet paper is equally damaging and many manufacturers are already making more environmentally-friendly products using recycled materials. The authors offer a scorecard system to rate the brands the have the biggest environmental impact. It’s mostly the big brands of quilted paper that score badly, with Charmin Ultra Soft, Kirkland Signature and Angel Soft all receiving F grades because they contain little or no recycled material. Brands that use recycled paper, such as Seventh Generation and Natural Value, received an A grade. Notably they say that “recycled materials are more commonly used in away-from-home tissue brands, like those found at offices or airports, where marketing for softness is less crucial”. So next time you’re greeted at the departure gate by toilet paper with a texture similar to a handful of gravel, you can take solace in the fact you’re saving the forests. ​“The alternative explanation of natural factors dominating has got even less likely,” he told Reuters. Other footage shows the polar bears feeding on rubbish at a local dump. Attempts to scare off the polar bears using car horns and dogs have all failed, the Tass news agency said. Russia classes polar bears as an endangered species and shooting them is prohibited by law. Officials warn, however, that a cull may be necessary to ensure the safety of the local population, if attempts to remove the animals fail. In 2016, five Russian scientists were besieged by polar bears for nearly two weeks at a remote weather station on Troynoy Island, east of Novaya Zemlya. (CNN)Insect populations are declining precipitously worldwide due to pesticide use and other factors, with a potentially "catastrophic" effect on the planet, a study has warned. "Because insects constitute the world's most abundant and (species-diverse) animal group and provide critical services within ecosystems, such events cannot be ignored and should prompt decisive action to avert a catastrophic collapse of nature's ecosystems," they wrote.They suggested overhauling existing agricultural methods, "in particular a serious reduction in pesticide usage and its substitution with more sustainable, ecologically-based practices." ​At least a third of the huge ice fields in Asia’s towering mountain chain are doomed to melt due to climate change, according to a landmark report, with serious consequences for almost 2 billion people. ​The new report highlights how vulnerable many mountain people are, with one-third living on less than $1.90 a day and far away from help if climate disaster strikes. greed ANd profit vs human beings!!! Scientists have known burning coal warms the climate for a long time. This 1912 headline proves it. Popular Mechanics explained that spewing CO2 into the air "tends to... raise its temperature." NEW ZEALAND NEWSPAPER RUNS CLIMATE CHANGE STORY, AUGUST 14, 1912. 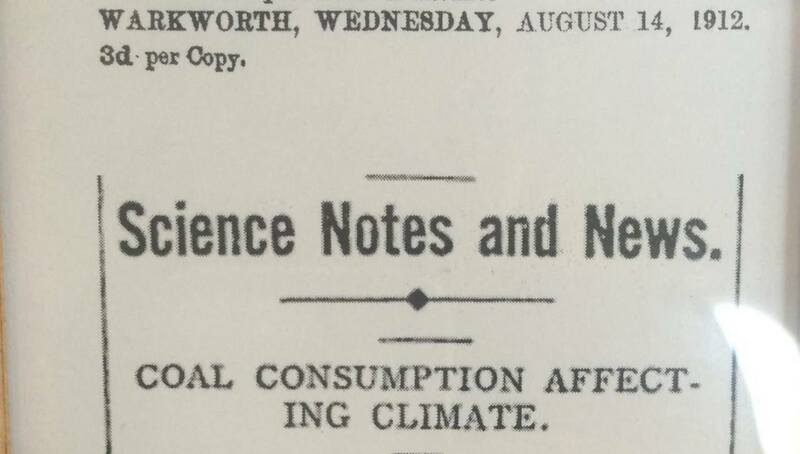 ​On August 14, 1912, a New Zealand newspaper’s “science notes and news” section ran a blurb headlined, “Coal consumption affecting climate.” An Australian paper ran the same headline and blurb the previous month. ​The truth is, scientists have known that burning coal releases carbon dioxide that in turn warms the planet for a long, long time. Yet coal consumption has continued to rise decade after decade regardless. Indeed, the scientific understanding that certain gases trap heat and warm the planet dates back to the 1850s. Eunice Foote discovered CO2’s warming properties in 1856, and was the first scientist to make the connection between CO2 and climate change. Irish physicist John Tyndall, who often gets all the credit, didn’t make the connection until 1859. By the turn of the 19th century, Svante August Arrhenius was quantifying how CO2 contributed to the greenhouse effect and later made the connection between global warming and fossil fuel combustion. That’s why stories in newspapers and magazines have appeared many times over the past century. Popular Mechanics alone has run articles on climate change in 1912, 1930, 1940, 1957, 1964, 1988, and on and on — as it explained in an article earlier this year. But the modern media always seems surprised when the old clippings show up, perhaps because the fossil fuel-funded disinformation campaign has been so pervasive and effective in casting doubt on the science for so long. Yet tragically, despite over a century of science, President Trump not only traffics in the disinformation, calling climate change a “hoax,” but he continues to vow to bring back coal. From The Guardian: ​Humanity’s impact on the Earth is now so profound that a new geological epoch – the Anthropocene – needs to be declared, according to an official expert group who presented the recommendation to the International Geological Congress in Cape Town on Monday. 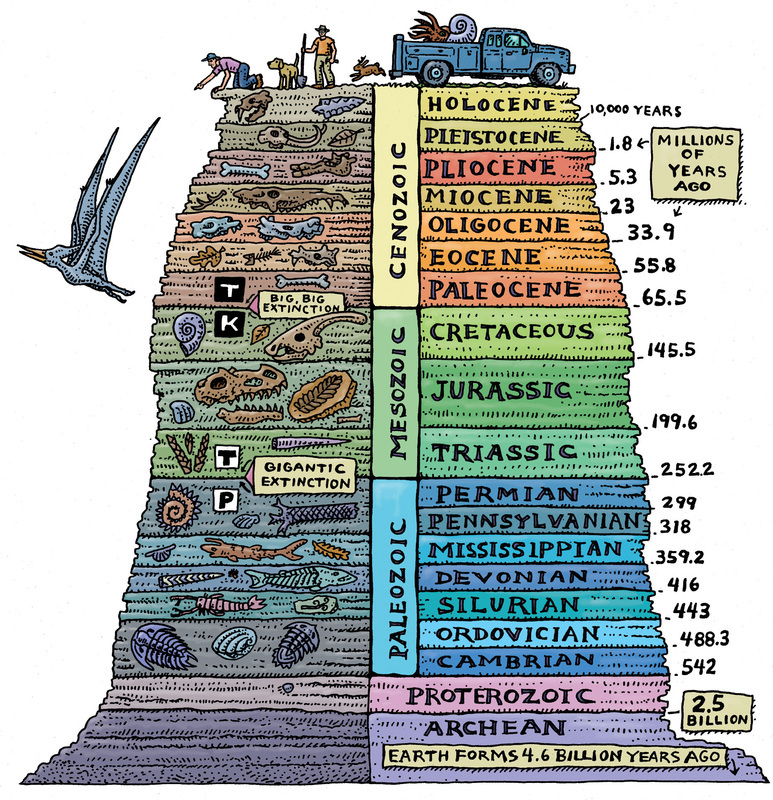 “The significance of the Anthropocene is that it sets a different trajectory for the Earth system, of which we of course are part,” said Prof Jan Zalasiewicz, a geologist at the University of Leicester and chair of the Working Group on the Anthropocene (WGA), which started work in 2009..